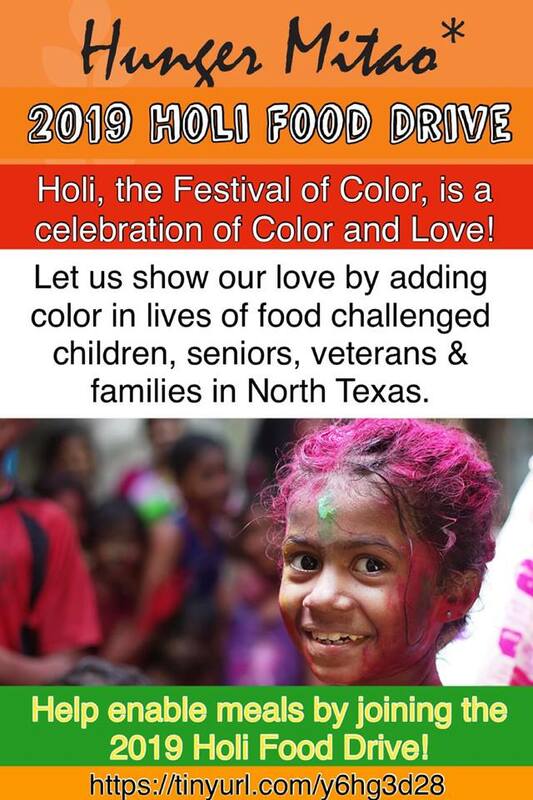 ​Hunger Mitao - Holi Food Drive is here! As a part of the celebrations, this spring, we urge you to conduct a food drive; in your neighborhood / workplace / functions / get-togethers / place of worship etc., to collect non-perishable, nutritious food for food-insecure neighbors served by North Texas Food Bank. Our Goal: 100 food drives all over the metroplex. Remember, no food drive is too big, no food drive is too small.